The Idea: To turn on a tap and get warm water instantly instead of feeling the jolt of ice cold water as it reaches out to the overhead tank for the hot water to start trickling in. Tank less water heaters are the new generation water heaters that are taking Toronto and most of the world by storm. Installed at multiple points of use, these heaters give you heated water in a flash so you do not have to wait for the cold water supply to abate and make way for hot water that may be stored somewhere in a tank or geyser fitted in your bathroom. Good for cooking and kitchen use as well, these heaters use a water turbine system rather than storing water in a tank. This way it avoids wastage and provides you with a more energy efficient means of getting the luxury of hot water. With Home Star, these tank less heaters are installed for your use and fitted at your preferred points of use. 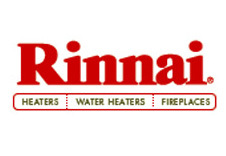 Rinnai brings to you instant hot water solutions with its range of tankless water heaters for residential homes. Not only for showering purposes, but you can use these products even in the laundry or the kitchen for a continuous flow of hot water. 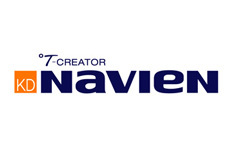 State-of-the-art-technology, a reputation for durability and reliable products come together to bring you the widest range of tankless water heater solutions from the house of Navien. Use hot water when and how you want it, instantly. It is not for nothing that they are the leaders in comfort innovation.